The lead prosecuting counsel, Mr Magaji Labaran, applied for the court’s orders earlier in the Thursday’s proceedings. Kanu’s lawyer, Mr Ifeanyi Ejiofor, had opposed Labaran’s oral application asking to be given more time to explain why his client had not been in court by filing all necessary papers. 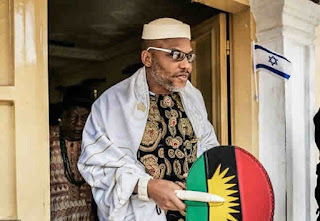 He insisted that Kanu’s disappearance was as a result of soldiers’ invasion of the IPOB leader’s home in Afara-Ukwu near Umuahia, Abia State, during the military’s Operation Python Dance II staged to quell agitation for a Republic of Biafra. But the judge noted that she had in a judgment on a civil suit filed by Kanu held that there was no nexus between the said military invasion and the IPOB leader’s disappearance. She overruled the objection, saying that the request for explanation of the defendant’s absence in court was belated. 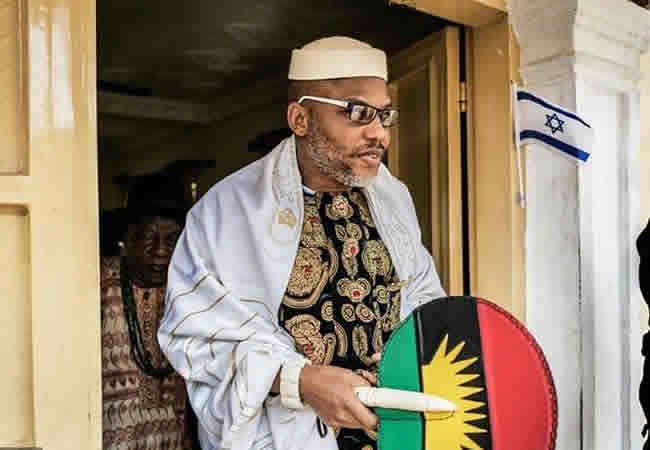 Justice Nyako also recalled that on October 17, 2017 Kanu also failed to appear in court with his lawyer, saying that the defendant’s absence from court was caused by the invasion of his home in Abia State by soldiers. She added, “I have given the counsel for the defendant more than enough time to produce him in court. Therefore, by virtue of section 252(4) of the Administration of Criminal Justice Act, 2015, the only option open to the court is to order that the trial will continue in his absence. The judge made the order of indefinite adjournment after Mr Chukwuma-Machukwu Ume (SAN), the lawyer representing one of the sureties, Senator Enyinnaya Abaribe, informed the court that his client had appealed against the November 14, 2018 ruling ordering the sureties to forfeit their bail bonds. Since last year, Kanu had been seen making appearances online and was at a time said to be on a religious pilgrimage to Israel. Kanu’s lawyer, Ejiofor, vowed to appeal against the court’s ruling for his client’s arrest and his trial to proceed in his absence.